The UN-Habitat – United Nations Human Settlements Programme will launch the Afghanistan Urban Peacebuilding Programme (AUPP) with an aim to concentrate on the urban terrain of peacebuilding and state of building. An agreement was signed between the Ministry of Urban Development Affairs, UN-Habitat, Ministry of Interior and Independent Directorate of Local Governance for the implementation of the project. 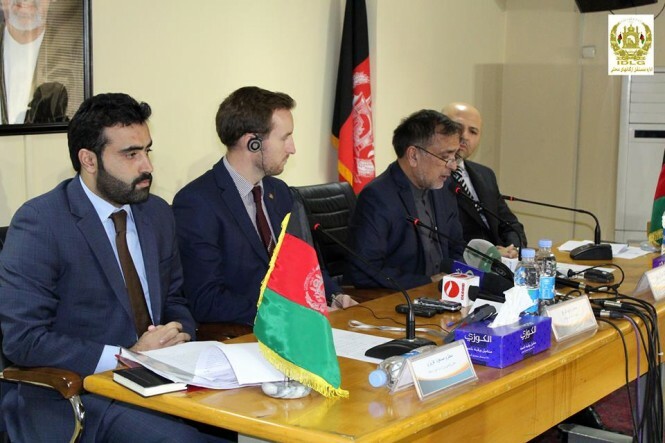 Urban Development Affiars Minister Syed Sadat Mansoor Naderi said the Afghanistan Urban Peacebuilding Programme (AUPP) is one of the most vital programs that needs to be implemented in the society. Naderi further added that the program will be launched with an aim to create a safe urban environment and hopefully the program will be implemented in various cities of the country in a bid to ensure long term peace which is one of the main demands of the Afghan people. He said the Programme should be precisely implemented by the UN-Habitat similarly as the other projects have been implemented. Naderi also added that Ministry of Urban Development Affairs expects that the implementation of the project is monitored on regular and comprehensive basis. As part of the expectations proposed by the Ministry of Urban Development Affairs, scientific and practical standards should be considered while ascertaining the priorities, Mr. Naderi said, adding that the project should be executed by consulting people and urban councils. He also emphasized on the attention towards the internally displaced people and said those residing outside the urban master plan should remain immune for their properties as well more efforts should be put in place to ensure social immunity in these regions. Naderi said project should also include establishment of recreational and athletic environment for women, youth and children with social immunity and security. He reiterated the Ministry of Urban Development Affairs’ commitment and cooperation for the implementation of the project while expressing gratitude to UN-Habitat for its efforts including a comprehensive report on state of the cities of Afghanistan which is expected to be published in the near future.